Giant Lock Box offers a variety of rental storage containers for your needs. Do you need a short-term storage solution for home, business or municipal use? You’ve come to the right place. Fill our rental quote form to give our storage experts an idea of what kind of container is best for your application. Then, we’ll look through our inventory of new and refurbished containers. We’ll work out the details of delivery and placement with you when the time comes. We work with your schedule to get the rental container to you when you need it. We’ll then deliver the storage container to your home or work by one of three methods: crane-truck, tilt-bed ground level delivery or flatbed trucks. The delivery method will be chosen by our team after assessing the location and your needs. Not sure how long you need the container for? That’s fine! We understand that some projects have deadline changes, or you may just need the storage container for longer. We are flexible with rental periods. Add on months as needed by calling one of the Giant Lock Box team members. Shipping container rental offers you the flexibility and freedom to store items where you need them most. Why travel to a self-storage facility when you can keep your stored items in your backyard? Whether you have a child returning home from college and need extra room for storage or you’re doing a home improvement project, Giant Lock Box has a storage solution for you. Our containers are water, wind, rodent and fireproof. They withstand any weather or attempted thefts due to their durability. Rest assured that your household items and keepsakes are safe in a Giant Lock Box container. 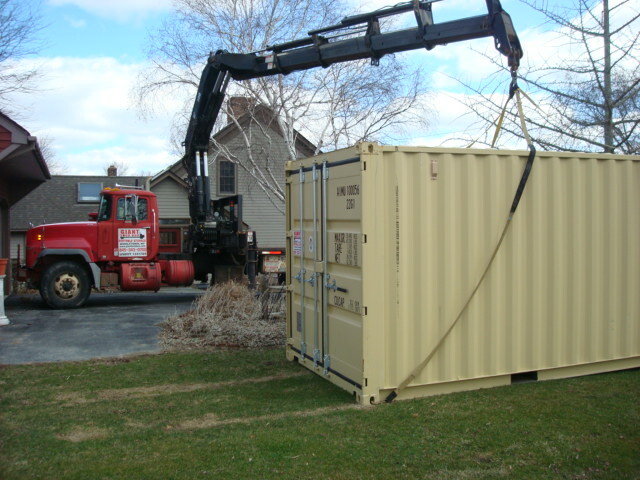 Construction and municipal applications are no problem for our storage containers. Protect building materials, tools, and other equipment. Giant Lock Box containers are made from CORE-TEN, https://en.wikipedia.org/wiki/Weathering_steel This high-quality steel is so strong, it is used in bridge and large structure construction. Even heavy storage isn’t a problem! Our containers can hold up to 70,000 lbs. of payload. This means that industrial tools, machinery, snow blowers, lawn mowers, and golf carts can be easily stored and locked inside our storage containers. 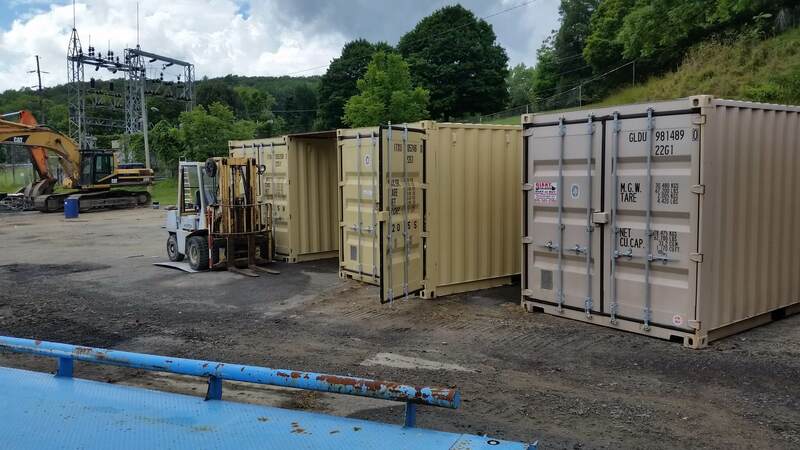 We offer a variety of new shipping containers for rental and for purchase. Depending on your need, we help you pick the right storage container. Many of our new storage units have lock boxes built into the doors, waist-high handles for easier opening and closing, and are painted a solid color (tan, gray, or blue). There are no unsightly logos on the containers. 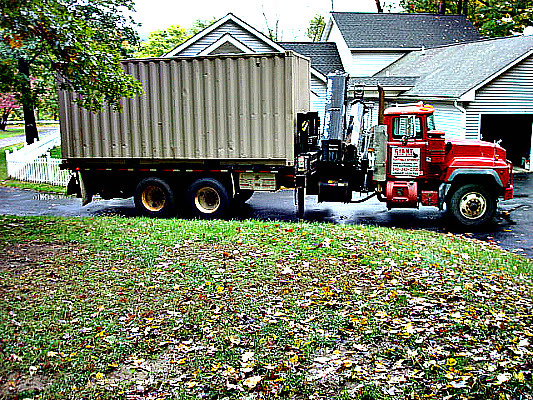 Ready to Get a Rental Storage Container? Think Giant Lock Box is the short-term storage solution for you? We think so too! Contact us through our quote form and we’ll be in contact with you soon.